With a fast approaching European Parliament vote on the EU-Canada trade deal CETA and potential subsequent rows over its ratification in EU member states, CETA continues to draw heavy criticism. A close look at the text of the agreement – and recent declarations designed to reassure critics and gain support for its ratification – shows that concerns over CETA are well-founded. Behind the PR attempts by the Canadian Government and the European Commission to sell it as a progressive agreement, CETA remains what it always has been: an attack on democracy, workers, and the environment. It would be a major mistake to ratify it. 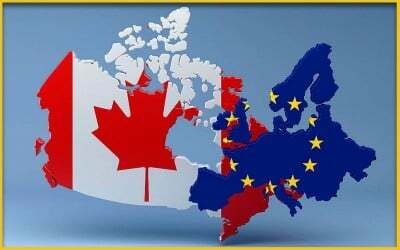 On both sides of the Atlantic, the Comprehensive Economic and Trade Agreement (CETA) between the EU and Canada is hugely controversial. A record 3.3 million people across Europe signed a petition against CETA and its twin agreement TTIP (Transatlantic Trade and Investment Partnership). European and Canadian trade unions, as well as consumer, environmental and public health groups and small and medium enterprises (SMEs) reject the agreement. Constitutional challenges against CETA have been filed in Germany and Canada and the compatibility of CETA’s controversial privileges for foreign investors with EU law is likely to be judged by the European Court of Justice. The controversy has also reached governments and parliaments. Across Europe, more than 2,100 local and regional governments have declared themselves TTIP/CETA free zones, often in cross-party resolutions. National and regional parliaments, too, worry about CETA, for example in Belgium, France, Slovenia, Luxembourg, Ireland, and the Netherlands. In October 2016, concerns in four sub-federal Belgian governments (led by Wallonia) over the agreement’s negative impacts, and in particular its dangerous privileges for foreign investors, nearly stopped the federal government from approving the signing of CETA. Over the past months, to salvage CETA’s ratification process, European and Canadian trade officials have gone into a massive propaganda mode. They have framed CETA as “a very progressive trade agreement” (European Trade Commissioner Cecilia Malmström) which will “shape globalisation” along the principles of “fair trade” and in the interest of workers (Germany’s Foreign Minister Frank-Walter Steinmeier). The latest PR move of the CETA supporters is a multitude of 39 declarations and statements accompanying the text of the agreement. These texts are designed to alleviate concerns amongst Social Democrats, trade unions, and the wider public who fear that CETA threatens public services, labour and environmental standards and undermines governments’ right to regulate in the public interest. But in fact, the declarations do nothing to fix CETA’s flaws.